Thank you ARRL (American Radio Relay League) for choosing me to receive the Zachary Taylor Stevens Memorial Scholarship! Thank you to Mr. William Hughes for your contributions in funding this scholarship! 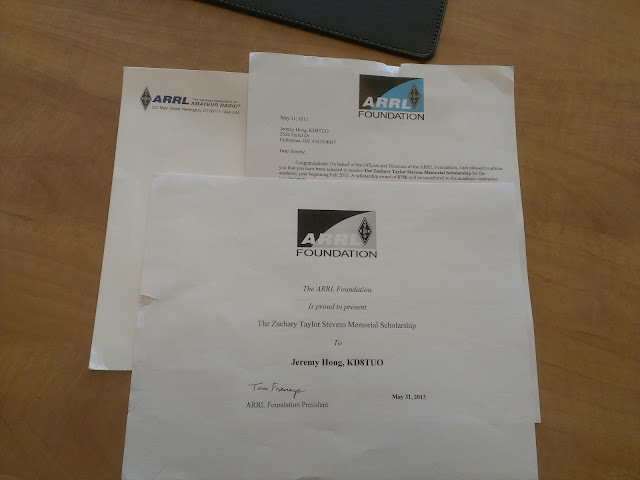 Thank you to all the amateur/Ham radio operators for making this possible! !